If the hair does not puff up with health and does not have beauty, if there is a problem of split ends, hair loss, seborrhea, fragility, excessive fatness or, conversely, dry hair, then natural Thai hair treatments will solve these problems. 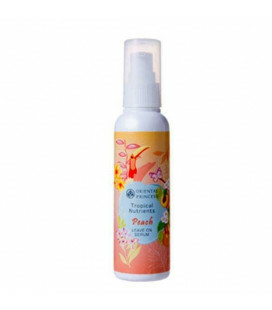 Moisturizing mousse for styling and hair care. Has a light creamy texture restores dry damaged hair, moisturizes. Lotion with argan oil, with avocado oil, with wheat proteins intensively nourishes and moisturizes, helps to maintain the smoothness and shape of the hairstyle at high humidity. The provitamin B5, which is part of the body, restores the structure of the hair, makes the hair strong, shiny and silky. Give your dry and frizz-prone hair a boost with this super rich and incredibly hydrating treatment. Infused with Pure Organic Coconut Oil, your hair will look healthier and feel soft and silky. 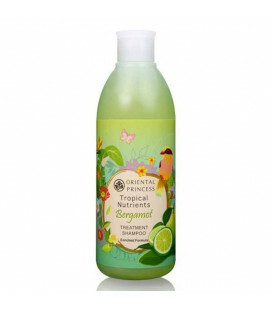 A cure-all for oily hair type, the Tropical Nutrients Bergamot Shampoo Enriched Formula gently washes your hair and leaves it grease-free and charmingly fragrant all day long while waving goodbye to flatness for good. This gentle formula shampoo is suitable for weak and brittle hair. It effectively cleans residue, dirt and grease from hair without clogging your scalp while prepping the hair for the next step of treatment. You may not get wrinkles on your hair, but it ages all the same. Ageing hair is prone to be easily damaged, dry and weightless -due to and dormant hair follicles. That’s why your ageing hair needs a different SOS remedy! This gentle formula conditioner is suitable for weak and brittle hair without leaving residue, dirt and grease to clog your scalp. Prepping your hair for the next step of treatment, the conditioner contains specially developed ingredients to protect weak and brittle hair from falling. Specifically developed to care cater to dandruff and itches, the conditioner is enriched with Piroctone Olamine, a powerful dandruff-fighting agent, to clear up grease, dirt and white flakes. This gentle dandruff-fighting shampoo is suitable for those itching, to combat the white flaky foes and soothe scalp irritation. 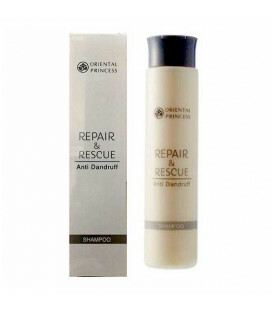 Repairing conditioner from Oriental Princess enriched amino acid complex, D-panthenol and vitamin B5, deeply nourishes the hair, eliminates split ends, maintains skin's moisture balance, makes hair smooth, manageable, silky and shiny. 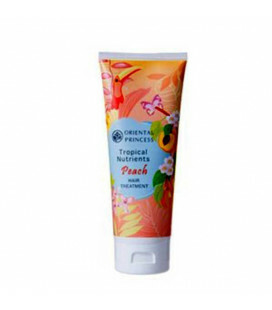 Treatment balm for brittle and damaged hair based on Encapsulation Technology to extract fragrant peach. 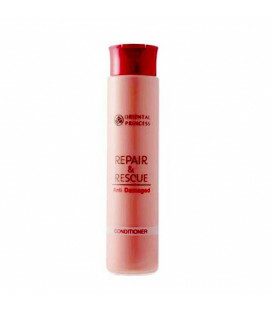 Shampoo for damaged hair gently cleanse your hair. 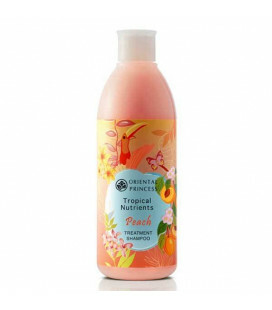 Peach extract nourishes dry, brittle hair, giving it a healthy shine and silkiness of youth. 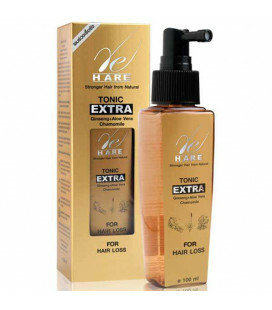 Nourishing tonic for hair and scalp with ginseng root, aloe vera, chamomile extract and anagelin extracted from white sweet lupine to feed hair roots and scalp. 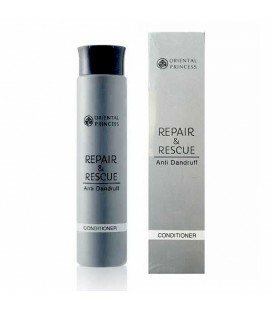 Prevents dandruff, fungus, and bacteria that cause hair loss. Stimulates new hair growth. 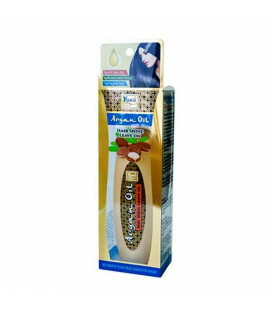 Improves the structure of the hair. Prevents hair brittleness. Fabulous therapeutic composition. It is difficult to find someone with perfectly healthy hair but this mask is suitable for everyone. An SOS remedy to treat dry, damaged hair with split ends, the Tropical Nutrients Banana Advanced Hair Treatment Mask Enriched Formula deeply penetrates the hair to moisturise it while leaving it charmingly fragrant all day long.